When It Comes to Seasonal Sippers, the Fresher the Better! Spring brings with it warmer weather, longer days, and seasonal ingredients. Nothing reflects this time of year quite like a stroll through your local farmers market. Of course, nature’s bounty has a place in your kitchen, but what about your bar? You bet! From fragrant lavender and juicy peaches to ripe strawberries and bright citrus, there are a plethora of seasonal delights to infuse into your boozy beverages. Beyond just imparting flavor, utilizing ingredients from your farmers market haul is a great way to stretch your dollar. It only takes a little to make a big impact on your beverages. Every great hostess has a few signature cocktails in her arsenal. Why not make yours of the seasonal variety? You’re sure to delight family and friends (not to mention yourself) with a rose water fizz or a sweet tea mint julep. In fact, these refreshing libations are bound to be so popular, we might recommend mixing up a pitcher or two. Now, all that’s left to do is sit back, relax, pour yourself a drink, and enjoy the tastes of the season. 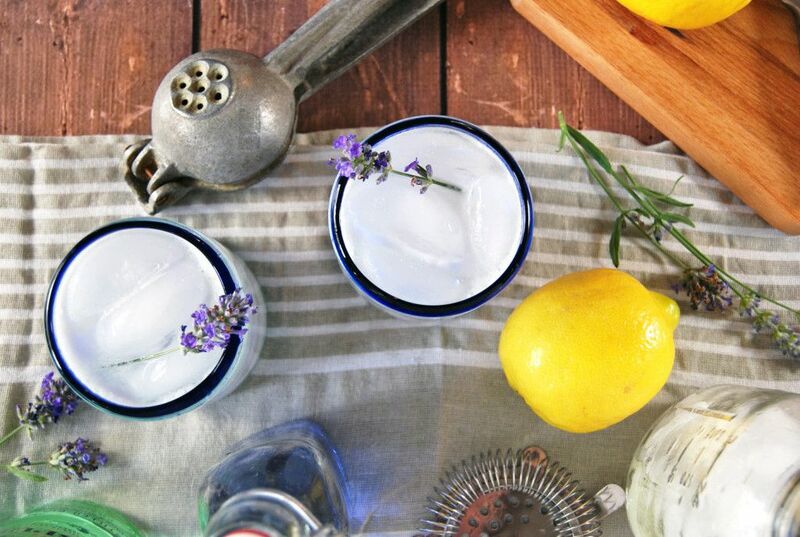 The second the weather warms up, we start craving a gin fizz. And we’re particularly fond of this pretty purple libation, infused with fresh lavender and lemon. Prosecco, this aromatic aperitif tastes as delicious as it looks. Bottoms up! Everything’s coming up roses with this rose water cointreau fizz. Feminine, floral, and slightly effervescent, it’s the perfect drink for Mother’s Day brunch or a bridal shower. This recipe marries two Southern staples (the mint julep and sweet tea) into one delicious drink that’s perfect for sipping on a warm summer afternoon—ideally while sitting on a rocking chair on your front porch. Who doesn’t love a classic mojito? (It’s certainly one of our all time favorite mixed drinks.) We didn’t think it could get any better until we discovered this fresh, fruit-infused take. Ripe, juicy peaches just scream summer—making this a marriage made in seasonal cocktail heaven. There’s nothing quite like sipping on a refreshing Paloma (and digging into a plate of fish tacos) on a hot summer day! Bright and beautifully acidic, this tropically-inspired Paloma calls for fresh pineapple juice—in addition to the recipe regulars (grapefruit, lime, tequila blanco, and club soda). Refreshing and light, Pimm’s Cup is quintessentially summer—particularly in the UK, although it’s making quite a name for itself stateside too. The addition of ginger beer gives this recipe a bright burst of flavor. Whether you’re imbibing at courtside at Wimbledon or poolside at your home, you’re sure to enjoy this gingery twist on a classic. Strawberry lemonade conjures memories of carefree summers spent as a child. This vodka-spiked version combines the youthful flavors with an adults-only boozy element. Serve it at your next soiree and you’re sure to make some grown-up memories of your own. This red clover Moscow mule is almost too pretty to drink. Lively, zesty, and bright—with a splash of citrus and sweet, subtle floral finish—this boozy refreshment begs to be served in a frosty copper mug. It turns out chamomile and lemon aren’t just great for kicking colds, they’re also a tasty duo in a drink—for a more fun occasion. 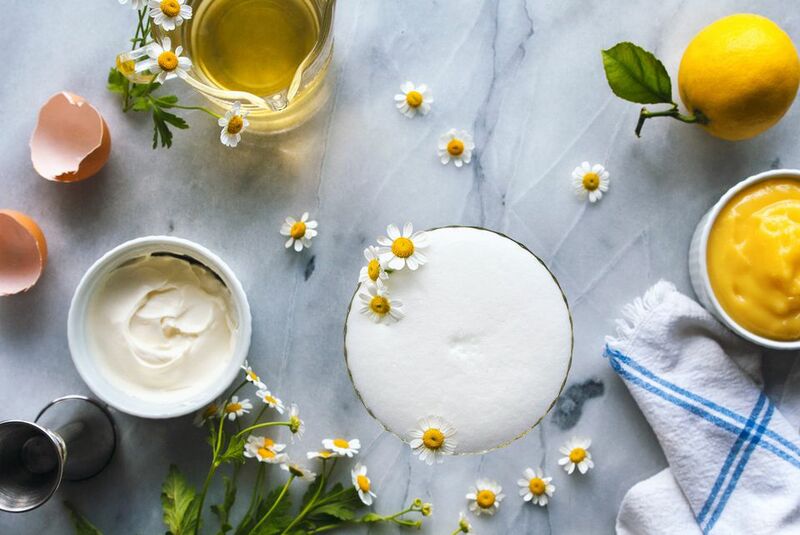 This frothy lemon chamomile cocktail is one of our favorite spring sippers. The exquisite velvety texture (courtesy of egg whites, yogurt, and lemon curd) pair perfectly with the light citrus and floral notes.